Arthur Lowe was a great comic actor and, possibly as a result of years in weekly rep., he had his stage-drunk act down to a fine art. We’ve seen it already in Cardinal Puff clip, and he also did it in War Dance. But perhaps his best rendition was in the innovative Christmas special episode from 1975, My Brother and I. 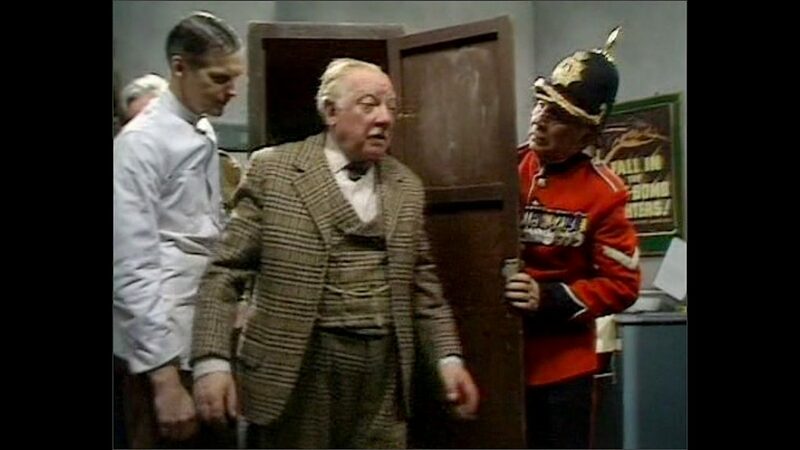 In this episode Lowe played both Captain Mainwaring and his rough-diamond, estranged brother, Barry. Lowe gives two fantastic performances playing against himself (Bill Pertwee actually stood-in to read the opposite part as Lowe recorded each of the performances) and the contrast between the brothers is huge. But I also love this scene, in which Barry gatecrashes a drinks reception that the captain is holding for senior officers. This entry was posted in blog on July 7, 2018 by wolAdmin.